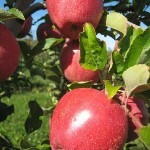 Pick Late Season Apples This Columbus Day Weekend! This weekend is Columbus Day weekend, which means that we only have a couple of weeks of apple picking left! If you haven’t visited the farm yet this season, we still have plenty of apples available for pick your own and in our Farmstand, lots of pumpkins in the pumpkin patch, and delicious apple cider donuts and warm apple crisp in Mary’s Country Kitchen! The Fortune is a cross between the Northern Spy and Empire apples. It’s an extremely large, firm apple that is great for baking. 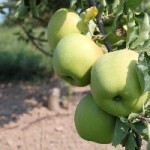 The Jonagold was developed in NY and is a cross between the Jonathan and Golden Delicious apples. It’s a very popular eating apple in Europe. It’s large, firm, extremely juicy, honey sweet and slightly tart. It stores well in the refrigerator and can be used for baking. 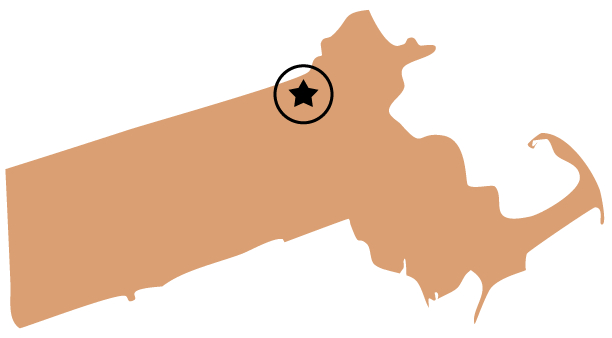 The Hampshire Mac is a MacIntosh-type apple that was discovered in New Hampshire. It is crisp, juicy, and tart. 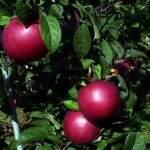 The Hampshire Mac ripens two to three weeks later than a standard Mac. 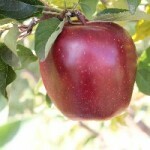 The Red Delicious is a deep red, crisp apple that is popular for fresh eating. 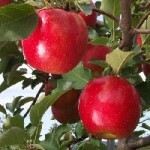 The Cameo is a new variety that is a bright red striped apple with a creamy orange color. It is firm and crisp, with a sweet tart flavor. 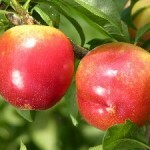 It’s a great fresh eating apple and also good for baking and sauce. The Mutsu is a derivative of the Golden Delicious apple. It’s a very large, yellow-green apple and is known as both a Mutsu and as a Crispin. It is very crispy and juicy and has a honey sweet flavor. It’s excellent for eating, baking, and for sauce.